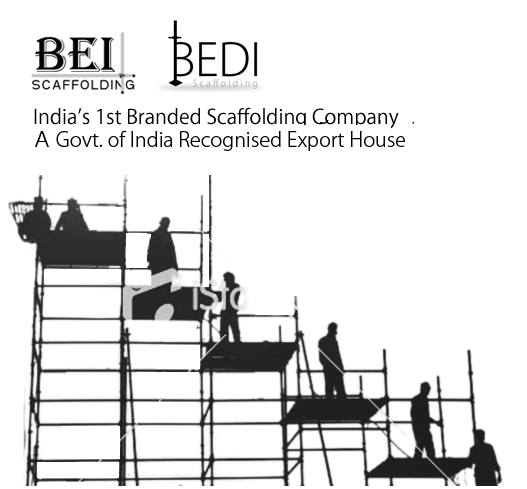 Bedi Exports International is the leading and most reputed manufacturer in India supplying branded BEDI™ Building Materials, Scaffolding Components, Scaffolding parts & Formwork Accessories. We cater to domestic as well as international markets. We at Bedi Exports International are committed to a manufacturing Quality Products of highest possible Standards by Trained and Motivated Personnel. Verticals are available to suit any propping or access application economically. The connection point is set at 500/1000mm vertical intervals for maximum versatility. Vertical Shore Props can be used on all types of building constructions or any types of use where an adjustable load - bearing member is required. The universal jack provides a method of adjustment which can be used at either the top or bottom of a scaffold support structure. It is used in conjunction with Forkeads. The most important part of shuttering is the drophead. Dropheads allow the beams, infills and panels to be lowered at a hammer's stroke. To enhance productivity and production by implementing Employee suggestion schemes. Sitemap All rights reserved. Terms and conditions apply on each service we provide.